The flurry of festivities has finally finished, and I’m over here sleeping like a pregnant woman. Yes, I took a nap yesterday. What? I need some down time before the next emergency, production, or unexpected change strikes. Mooch is ten now. Fuss is four, and by Monday, Hannibal will have completed another trek around the sun. It was truly a fun season. The milestone birthdays always are. I can’t believe Mooch is a whole decade old. She had a fun party, with the majority of our community present, followed by a sleepover and paintballing. Legoland had fireworks for Fuss’ birthday. Well, sort of. Her birthday is New Year’s Eve, so the fireworks were probably for that, but who’s asking? We’re skipping our usual hotel getaway for Hannibal’s birthday, because we’re hosting a marriage retreat the second weekend in February. “Homeschooling” is back in full swing, with Fuss writing a lot more and Mooch delving deeper into science. She’s been programming her rover, creating hurricanes, and creating circuits. We finished The Giver as a family (well 3/4 of us), and while she plows through the third Harry Potter, her sister is flying through her second set of BOB Books. There is nothing much new to report. I’ve been working (designing) a lot, which explains my inability to blog. Aaaaaghhh!! 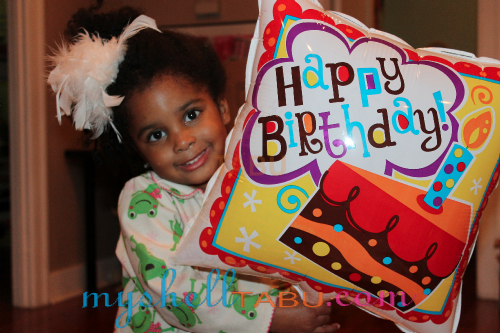 Enjoy these pictures from the holidays and birthdays over the past couple of months. Marital Mondays will be back Monday. 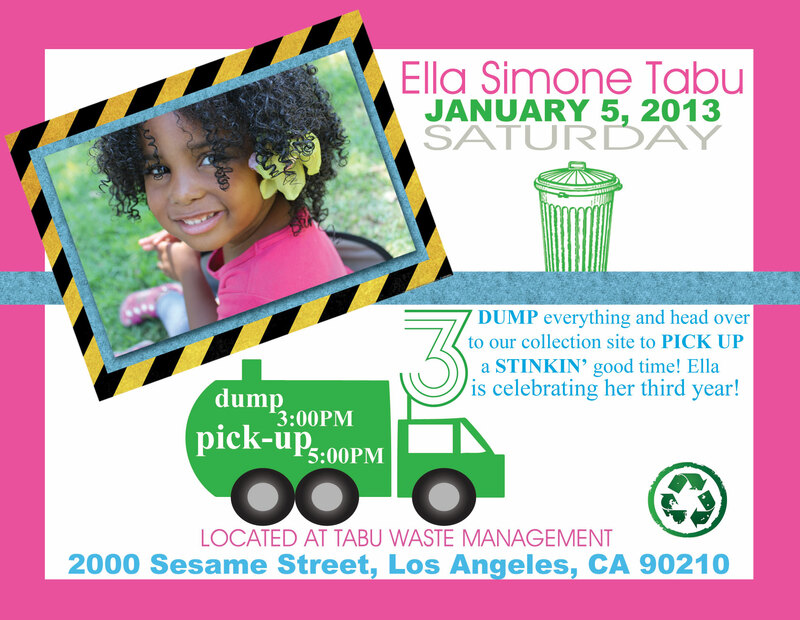 Fuss turned three December 31st, and with her being obsessed with trash trucks and all, that had to be the theme of her party on the fifth of January. 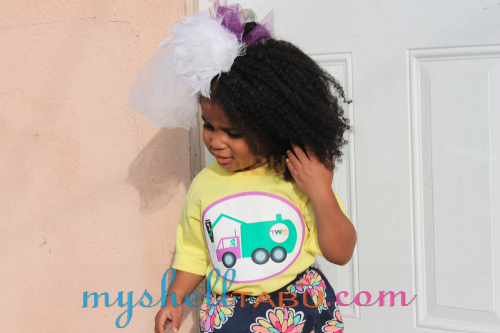 The pics are in the gallery below, and here is the list of activities, decor, and food. All that’s needed is a box, balled up newspaper, and an adult to monitor the game. 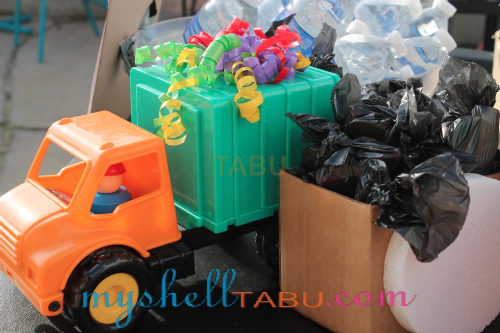 Trash Sort/ Recycling Game (with grabbers) — Younger kids were allowed to work on hand eye coordination (working the grabbing mechanism and picking up trash). Older kids were called off the “Dirty Mattress” (trampoline) to play three at a time. 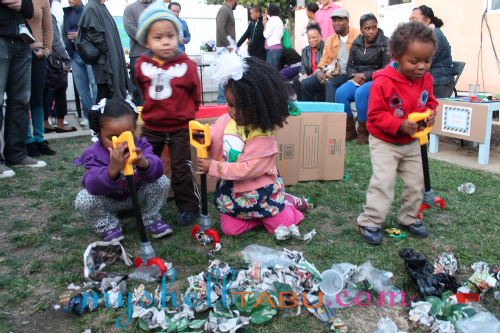 They were each given a type of trash to pick up (plastic, metal, paper, etc.) and place into a specific color bin. The first to finish was the winner. They had a lot of fun. I stuck 4 boxes together, cut an opening on each, and painted a styrofoam box insert for each (1blue, 1 yellow, 1 green, and 1 red) to create the recycling game. 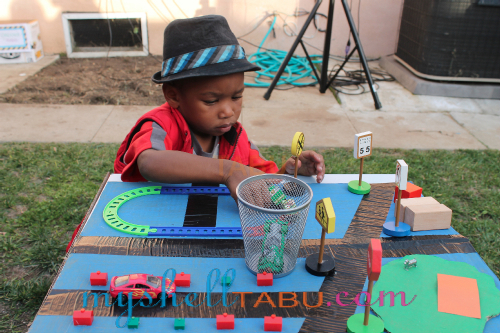 I converted Fuss’ small square ikea table into a mini city, and let the kids play with cars on it. This is one of her favorite activities, and the boys sure appreciated it as well. Everything (except the cars) was hot glued to cardboard, which was stuck on the table with heavy duty masking tape (because I intend to continue using the table for her breakfast and snack). 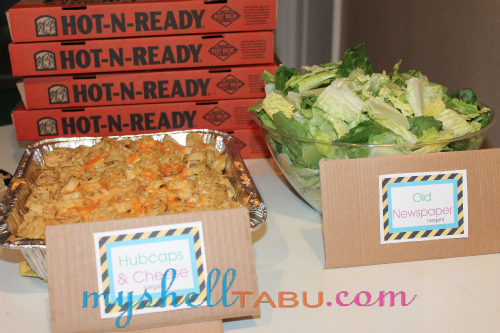 Pizza boxes work, but I used a box that a printing company had used to deliver a project to me. 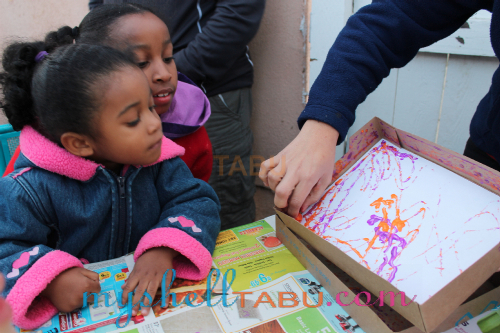 We place a sheet of paper in, put a paint coated marble in a couple of colors in, closed the box, and let the kid shake it up to create the art. The pictures hung a clothesline to dry. 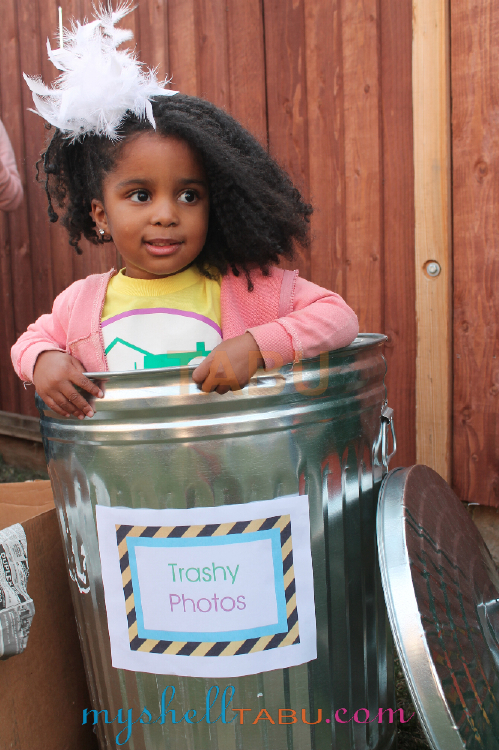 “Trashy Photos” – A newspaper trimmed box and empty metal trashcan provided a space for 1-3 kids to take photos at a time. Inside of a plastic trash truck Fuss already had, I placed small black trashbags (square pieces cut from a larger black trash bag) filled with dollar store toys (a top, a dinosaur, a ring) and two Hershey’s kisses. Each person grabbed one on their way out. 5. 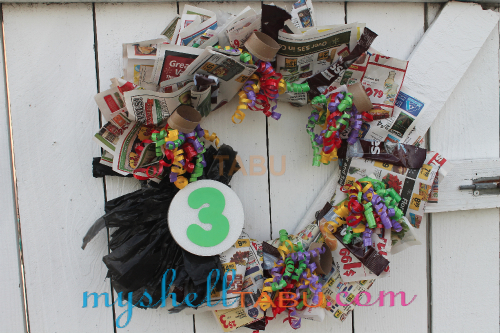 Trash wreath on gate and Front door made of sale papers and other wrappers. 7. 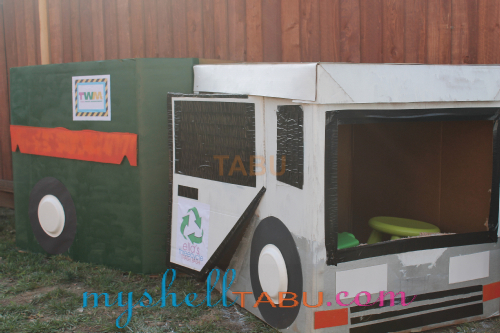 Giant Trash Truck made from two Gaylord Boxes, a hand saw, and lots of spray paint.